'I was still not quite sure when, exactly, my disinclination towards people began. I know, though, that it had a great deal to do with the bane of my life ? the great Mr Sherlock Holmes.' Just as Conan Doyle is starting to reap the rewards from the publication of his Sherlock Holmes short stories, he decides to kill him off. What led him to this? 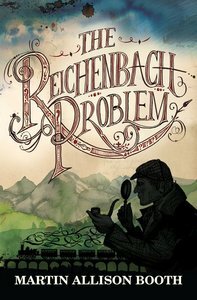 While enjoying a much-needed holiday in the Swiss Alps, Conan Doyle hears of the tragic death of a fellow Briton. Should he get involved? And why is he being followed by Holloway, one of his greatest fans? What are the duties of a celebrity? After a successful career at the BBC and ITV, as a script writer, editor and then Commissioning executive, Martin Booth worked for OFCOM before training as an Anglican priest. He has been a fan of Sherlock Holmes since childhood.